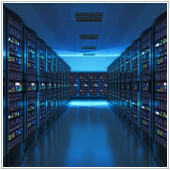 Server Administration 101: TemperatureWest Saint Paul, Eagan, Inver Grove HeightsPoint North Networks, Inc.
Servers are the heart of most modern SMBs. And with the strain that most businesses put on their servers, one of the most important maintenance variables is temperature management. Understanding why keeping your servers cool is vitally important and could save you from an expensive crash, troubling data loss, or reduced hardware reliability.